Bright colours, easy to do and simple yet striking pattern – this geometric nail art design with a textured nail polish has everything to become our new favorite. The same as most of the striping tape nail art designs this geometric nail art looks great when done in contrasting colours. It resembles the pink and black nail art we’ve done as a part of our Fuzzy Nail Art Guide and can be easily re-created with a Fuzzy Coat instead of a traditional textured nail polish. Whatever you have in your stash! Paint all nails with 1-2 coats of neon pink polish. Apply quick dry top coat. Let it touch dry. 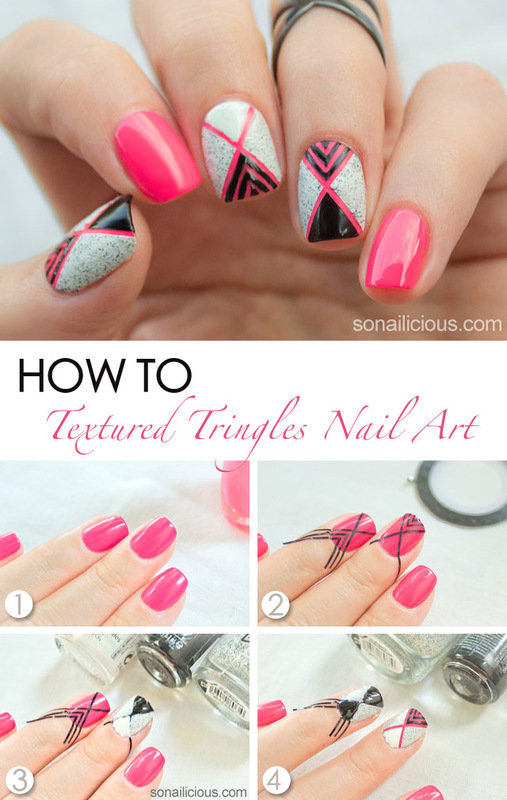 Apply striping tape in a diagonal cross and triangle stripes on middle, ring and thumb nails. Work one nail at a time. Paint some parts as pictured in black or white polish and the other parts with textured nail polish. We used Dance Legend White Noise. Carefully remove the striping tape with tweezers from the first (middle) nail and do the second (ring nail), third (thumb). Let dry. 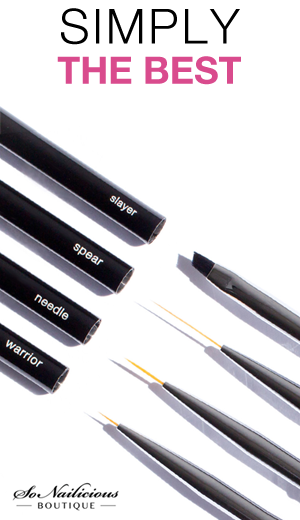 No top coat required. Used: Dance Legend Sahara Crystal White Noise, Dance Legend Neon Pink 341 (base), ORLY Vinyl (black) and ORLY Nailtrition base. 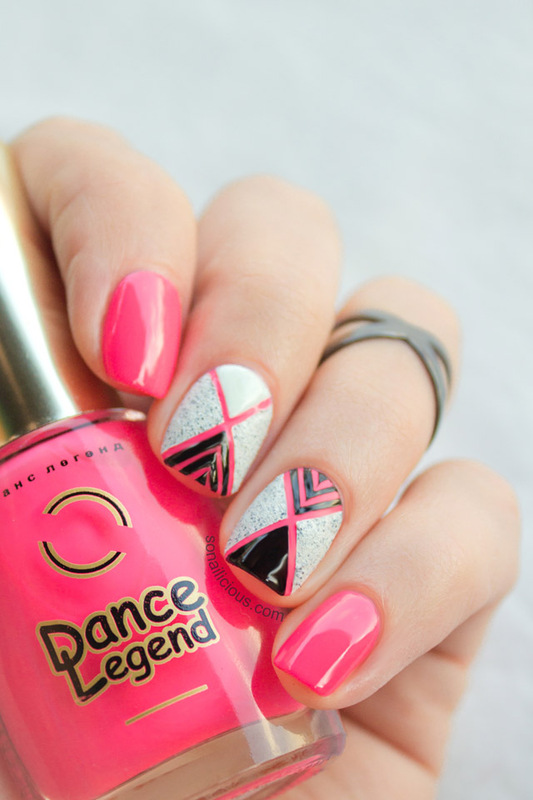 How do you like this geometric nail art? Are you keen to try it? 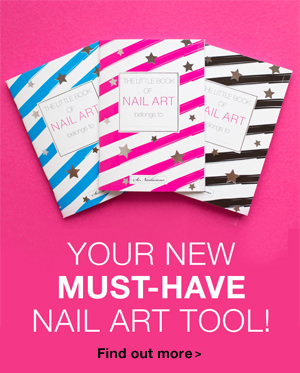 If you so, tweet or Instagram us, @So_Nailicious your nail art designs with a tag #sonailicious. We’d love to see your work!